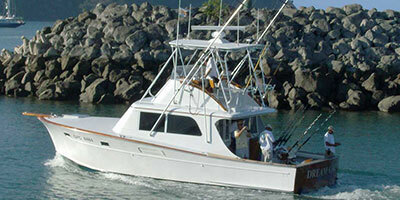 We’ve got great captains and crews that man everything from a 32 foot boat up to a 60 foot yacht. Depending on the needs and wants of your party, we’ll match you up and set you on your way for a memory filled day at sea! For those who like to try their luck with the bottom feeders, let us know as there are a couple of boats that exclusively offer both bill and bottom fishing. It’s a sure way to fill up the ice box as well as the barbecue come dinner time! Half and full day fishing are available. Don’t miss this adventure! 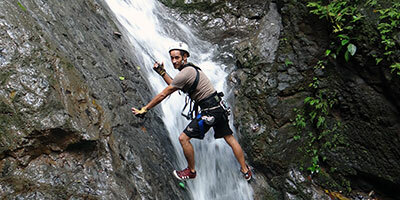 A highlight of Costa Rica is zip-lining! We’d recommend considering venturing through the jungle and it’s lush green canopy like Jane or Tarzan, with a “hoot” and a “holla” and maybe a little “aahhhahahahaaa”! With complete and utter safety in mind at all times, the always fun and playful guides will help you swing like a monkey from some of the longest cables in the Central Pacific. Shrieks of laughter and big smiles are caught on camera by visitors of ALL ages. If you’re 6 or 60, you will have a blast! The first cable often provokes nervous giggles but soon thereafter, you’ll be whizzing down through the rain forest like the little white faced monkeys! 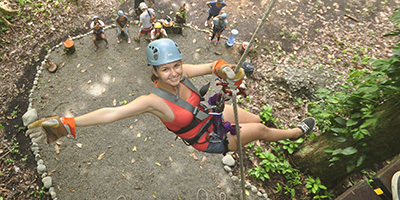 Transportation to the Canopy tour can be provided for an extra fee! This may be the highlight of your trip so don’t miss it! If at all possible, this adventure is best shared with friends and family! Gails of laughter will echo off the walls of the canyon as you barrel down the class II and III rapids of the Savegre river. The countryside and awesome panoramic views change slowly as you wind through sparsely inhabited valleys in the mountains. Just when you think this trip couldn’t offer anymore your guide will pull over for a few minute break & photo shoot in the waterfalls! This isolated boat access waterfall is a must see and makes this trip different from any other white water rafting tour you’ve previously done. The tour ends at a local soda (Costa Rican diner) where you can view and purchase your day’s photo shoot and quench your thirst! There are lessons for children or adults. We strive to ensure the group size is small and each person has their own instructor! 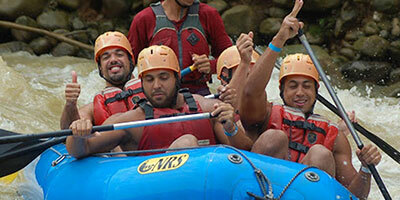 Kids and adults build their confidence by learning the ropes in the white water then “graduate” to the break. Whatever level of physical condition you are in, the opportunity to learn the basics and feel like a “pro”, is an unforgettable experience. Most lessons are approximately 2 hours long and include the board rental and water. Everyone loves this park as it gives you a (half) day of nature hiking as well as the opportunity to flop in a lounge chair afterwards and enjoy a little beach time with the monkeys! Quepos is the coastal town beside Manuel Antonio National park, one of the most visited parks in Costa Rica. In order to actually see the monkeys and the sloths and the other fascinating animals in this protected area, you should arrive around 8:00 a.m. Also, the park is closed on Mondays… we learned that one the hard way! Super educational day amongst a stunning back drop… trust us, the photos you take here may become your wall art back home! 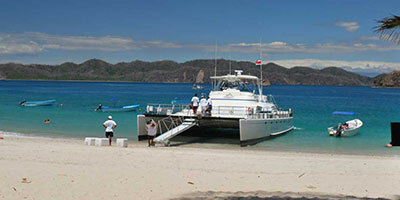 aco Ropes is a tour located just minutes away from downtown Jaco. 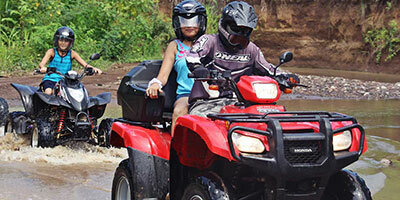 Offering adventure tours for most ages but are special for families, couples and big groups. The adventure canopy is totally different from all regular zip lines because they give you objects to hit and collect points. 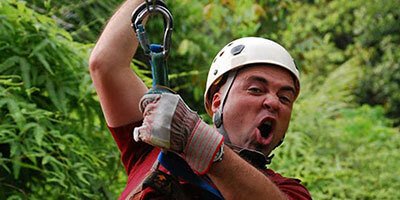 Jaco Ropes course tour consists of 13 obstacles suspended through out the jungle trees. The most favorite are Surf in the Air, Tire Pass and Tarzan Swing. If you are looking for a more extreme option while visiting Jaco then check out our Quickjump or the giant Cieba Rappel. Take a boat at Puntarenas and enjoy a cruise with a setting of soft ocean breezes, warm sand and the rhythmic crashes of the surf. Our Island Cruise goes to Tortuga Island, the Jewel of the studded Gulf of Nicoya, a location for immaculate white sand beach with turquoise waters, a perfect stop for swimming and snorkeling, admire submarine wonders and the Tropical Dry Forest variety of birds. Definitely a must, with a delicious beach buffet, it's a day to remember as one of your highlights in Costa Rica. Imagine discovering Costa Rica, its beaches, rainforests, remote villages, waterfalls, and wildlife while driving a Quad ATV or motorcycle. It doesn't matter what language you speak or where you're from, whether you're a first-time ATV rider, or a seasoned veteran looking for something more technically challenging, we have the tour for you. Your choices are a 2 hour tour where your guide will take you to a beautiful lookout point. A 3 hour tour which includes the lookout point and a waterfall, and a 4 hour tour which includes the lookout point, a waterfall and a small pond where you stop and fish for Tilapia. 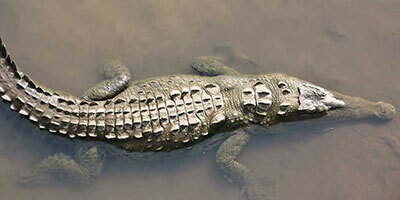 Explore the habitat of the enormous crocodiles that live in the T rcoles River. In comfortable pontoon boats, enjoy of its exuberant mangroves and observe the great variety of birds. The area is surrounded by transitional forest, where literally hundreds of different kinds of mammals, birds and reptiles flourish. This is a nesting site for the Scarlet Macaw and large colonies of crocodiles – some measuring up to 23 feet in length. The area is also home to 250 species of birds, such as the Tanagers, Flycatchers, Trogons, Orioles, Macaws, Herons and Hummingbirds. The migration period from October to April some of the many birds frequently seen are Ospreys, Gulls, Terns Cormorants, Pelicans and Frigates. If your dream vacation involves the words PEACE and QUIET, then we’ve found just the thing for you. 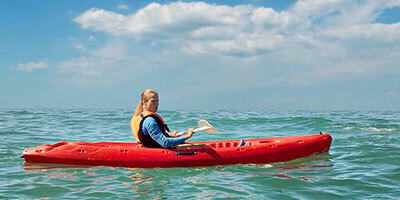 Slide into your own kayak, with family and friends alongside, and allow a qualified guide to show you the way. For beginners, intermediate or experienced paddlers, this tranquil journey will take you along the shoreline from Agujas Beach over to Punta Leona. 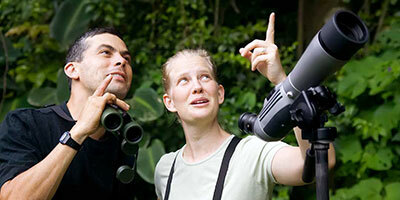 The scenery is spectacular and the probability of spotting wildlife is good. It’s a different perspective to photograph the shoreline and beaches from the ocean! Bring your waterproof camera and enjoy the magic of quietly skimming along the ocean’s surface. Once you reach the pristine white sand beaches of Punta Leona the guides will hook you up with snorkeling gear or give you some time to chill and enjoy the stunning coast line. A truly memorable day! When it comes to how and where you would like your Spa experience to unfold, there are choices. Jaco and Herradura have a number of spas that we can recommend for you to go to unwind and wash away your stress, BUT you may prefer to have the masseuse or esthetician come to you in the comfort of your condo. Just let us know and we will be happy to make it happen for you! The possibilities include: Massages, Facials, Pedicures, Manicures, Hair Cuts and color, and Full spa packages. Nothing screams vacation better than these 2 words “No cooking!” Restaurants are great but there is something so convenient and luxurious about having gourmet meals, made in the privacy and comfort of your residence! 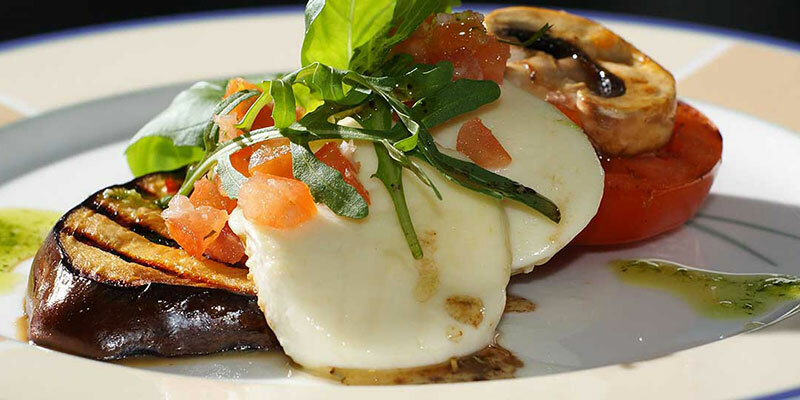 Our private chefs have Gourmet menus to choose from, but ultimately they love to cook your favorites. With a “drop-off” meal option for everything from breakfasts to boxed lunches when you are on the go, to an array of appetizers to 5 course dinners and BBQ’s, they can do it all. Mom, your vacation experience suddenly became a whole lot more fun! Ask us for Chef’s menu options today… we almost forgot our chef can do an amazing meal with your catch of the day! Yummy… sushi!